It’s easy to get lost in the sheer beauty of the Outer Banks in North Carolina. Personally, I’ve always been fascinated by the pelicans that reside there. When they’re in mid-flight, they can almost look prehistoric. 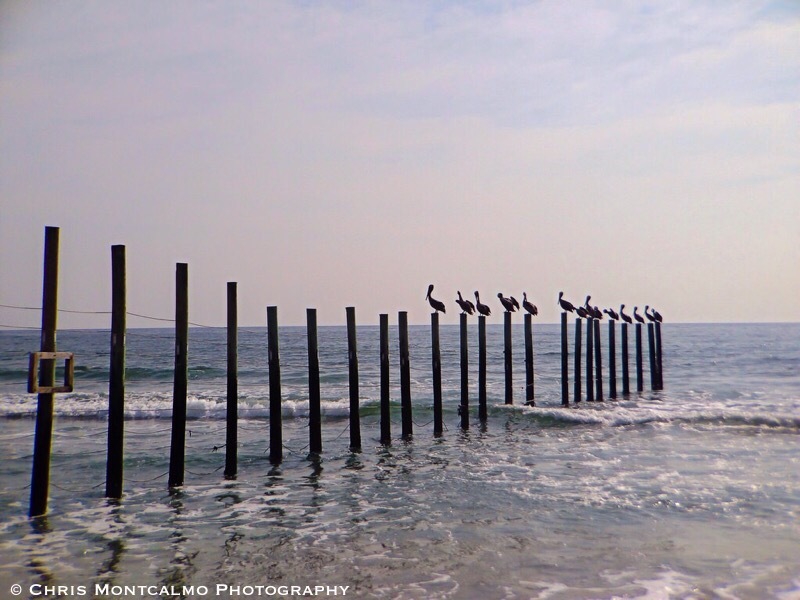 On this day, I happened to spot a whole flock of them perched atop several poles in the water along the North Carolina/Virginia border. It was like something out of a movie..